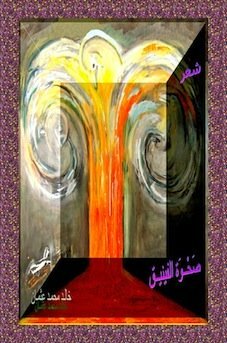 Arabic Poems to Enjoy Poetic Pictures and Print Posters to Decorate Your Office! 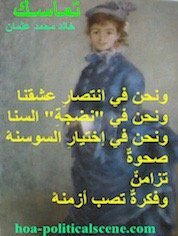 Arabic Poems on Beautiful Posters! 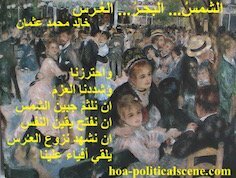 The Arabic Poems on many pages on the HOA Political Scene Blog, which is a bilingual section of the HOA Political Scene network help you maintain your Arabic language by some new croup of the arts pictures and more. 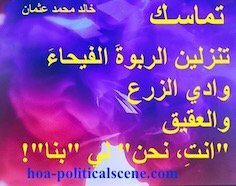 Keep reading through this page and the Arabic HOA Political Scene and you will know many other benefits you can get from the Arabic Poetry pages. hoa-politicalscene.com/arabic-poems.html - Arabic Poems: The civil disobedience in Sudan banner in Arabic poetry titled Rising of the Phoenix from the Sudanese Abu Damac literary group to support the uprising. The first benefit is of course enjoying poems in Arabic at the bilingual section of the Horn Africas Network. But, there are so many benefits behind the scene. They even don't have to require any cleverness to know them. For example, you can print posters from the Arabic Poetry posters to decorate your place at home, work, or even the most enjoyable favorite place for you. In addition, read the following below the poems you read in Arabic here. 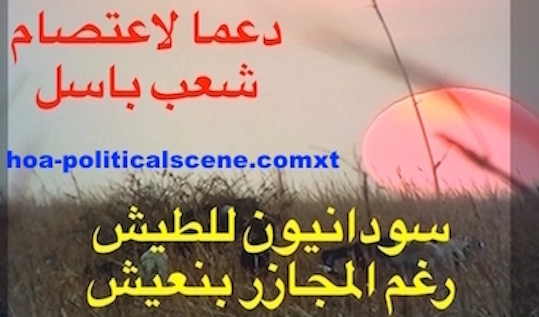 hoa-politicalscene.com/arabic-poems.html - Arabic Poems: Rising of the Phoenix used for the Sudanese civil disobedience in a banner in Arabic from the Sudanese Abu Damac literary group. The most important values are many. You can learn from such poems, how to use this language by enriching your vocabulary and knowing how to rhyme, write excellent Arabic prose, or write poems in Arabic the best way you could. OK, before I go further, you may need to read the Arabic Poetry page and follow everything published on it and focus your attention to the fruits of the page. hoa-politicalscene.com/arabic-poems.html - Arabic Poems: A banner in Arabic from the Sudanese Abu Damac literary group to support the Sudanese civil disobedience. What about publishing your poetry? Well, to get the benefits of credibility to reflect upon you, give the Arabic HOAs Poems, whether on this page, or on other Arabic HOAs Poetry pages a credit, when you use the following information. You can promote your poetry by this method. This is a benefit. But, before this you can publish your poetry in HOA Index for Arabic poems and English HOAs poetry, or if you have an Apple product, you can do that in iBOOKs, as my daughter did for the Arabic Phoenix Poetry Picture Book. 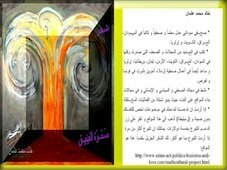 Get the HOAs Arabic Poetry picture book free and please rate it and distribute the link of this page for your friends to get it with more benefits. The process of publishing on Apple iBooks is simple and it comes with simple guidelines. So, this wouldn't be a matter to worry about, dude. If at any time you get stuck, just use any for here to request my help and I will guide you all the way, just to become good friends. No fees required at all. I will even promote it for you, when you publish some of your literary work on any page at the HOA Political Scene HOAs Cultural Project. It is for artists, intellectuals and writers from East Africa and the Horn of Africa. But, any other literary page on the HOA's Comprehensive Projects is for you. hoa-politicalscene.com/arabic-poems.html - Arabic Poems: An Arabic banner from the Sudanese Abu Damac literary group to support the Sudanese civil disobedience. For more information and to be one of our faithful and active influencers, see the main cultural, or political projects along with our WhatsApp group at Abu Damac. 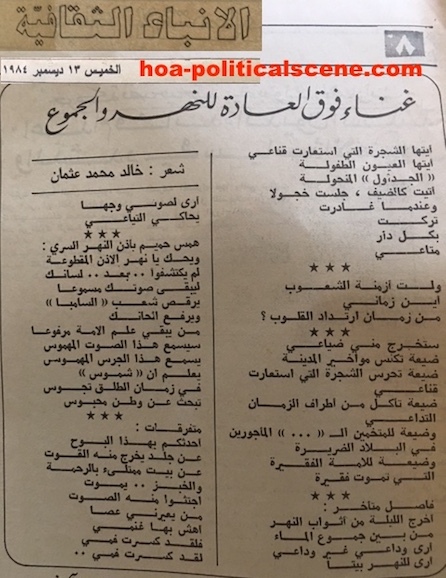 hoa-politicalscene.com/arabic-poems.html - Arabic Poems: from "A Supreme Song for the River and the Mass" غناء فوق العادة للنهر والجموع by poet & journalist Khalid Mohamed Osman on the Kuwaiti Al-Anba newspaper. ويحُكَ يا نهّر الأُذنِ المقطوعة! It is not only the Arabic poetry page, which has the fruits of many sophisticated terms and good rhyming. More than 30 pages like it can get you all the richness of this Arabic vocabulary to focus on. In addition, in simple Arabic writings you could come to discover many ways to use the same expressions to form good Arabic sentences, either different, or similar to any given example in the HOAs Sacred Scripture. The HOAs Sacred Poetry include fine poetic pictures and poetry pictures to pic from all of them some examples and train with them, or know the richness of this language. Well, after reading with a focus and keeping for some times with this, you will certainly get your way very clear to write good Arabic language. Did You Enjoy the Arabic Poems? * Share the HOA Arabic poems page with your friends. Choose either the small buttons on the page to like, pin the pictures, or tweet this page, or use the form to forward it at Forward HOA Political Scene. * Subscribe to Arabic Poems and the HOA Political Scene Blog updates through one of your services, such as your Yahoo. See the small buttons. * Respond to the HOA Calls and tell us about what you think of the poetry on the HOAs Literature, or the HOAs Love Poems, or simply be part of the literary activities on the Horn of Africa's Network. HOA always love you. * Use the following comments form to ask anything about this topic, or to write your Arabic poems, or to comment on the page. You'll get some books when you do any of the mentioned things here. Your input will be published on a page like this at the Comment C2 Entries page.